Lagos is the commercial capital of Nigeria with a vibrant night life. 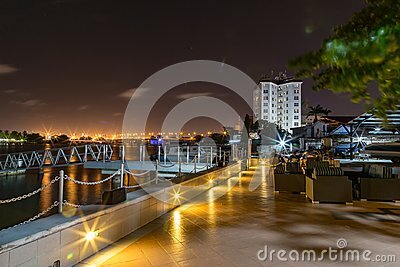 This is a view of Lagos skyline at night across as seen across the Lagos lagoon and creeks. A major hotel is also seen on the right with Victoria island bridge in the distance.